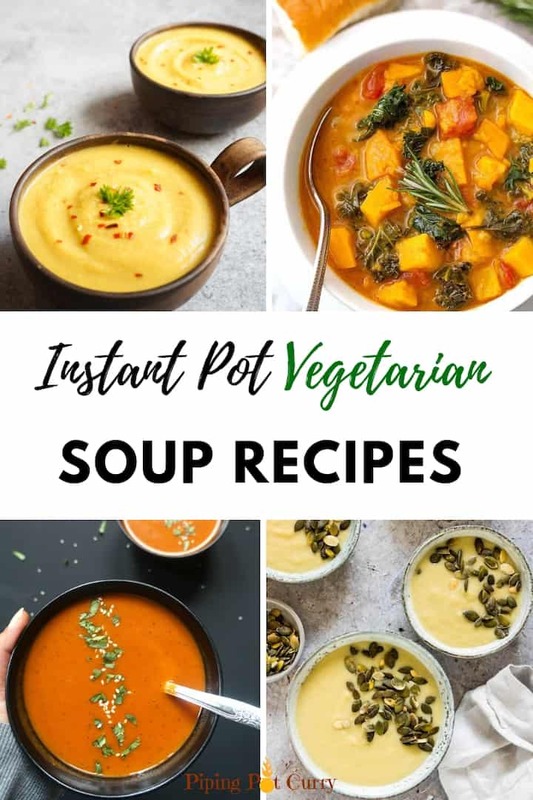 Looking for vegetarian soups to make in your instant pot? 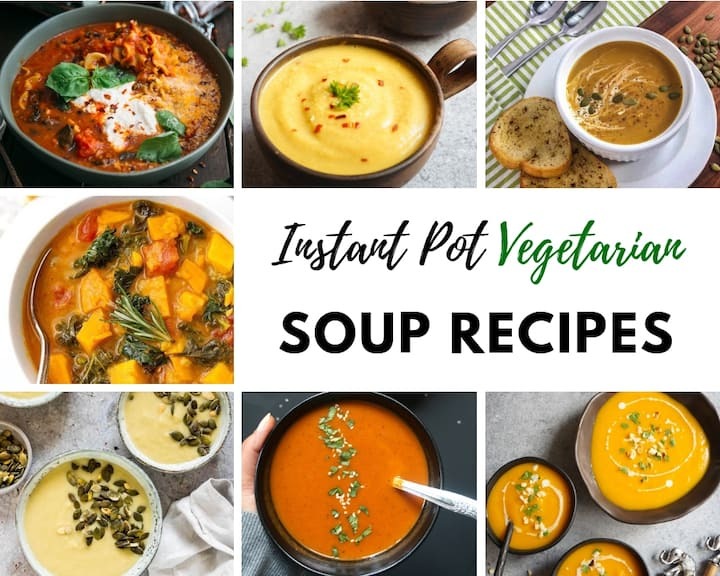 Look no further, here are 17 tried and tested Instant Pot Vegetarian Soup Recipes that you will love! In this cold weather, I am always craving soups! Give me some crusty bread on the side to dunk in the soup and you have perfect dinner for me. Do you feel the same way? Then here is your best resource for a variety of vegetarian soups to make in your pressure cooker. 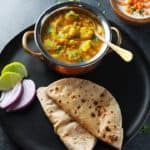 Want to check out more vegetarian recipes? Here is a Vegetarian Instant Pot Meal Plan which will be updated every month! 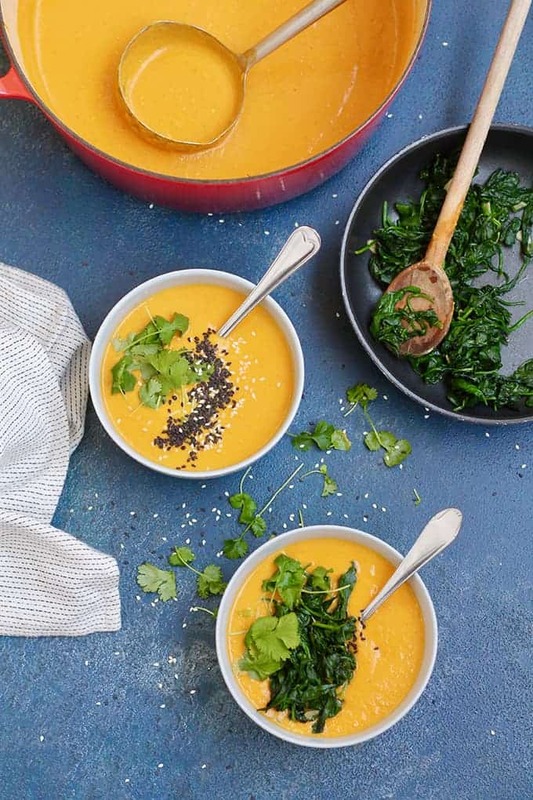 Creamy, flavorful, healthy and vegan…is how to describe this soup! 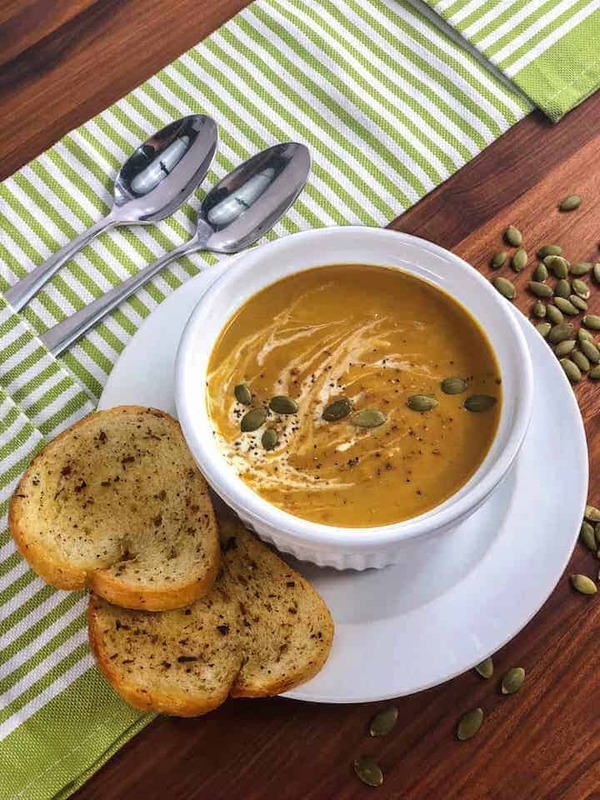 Butternut Squash infused with Thai flavors and a sprinkle of chili flakes makes this a Spicy Thai Curried Butternut Squash Soup. 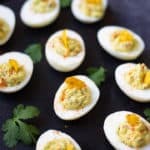 An easy recipe that can be made in less than 30 minutes in the Instant pot. 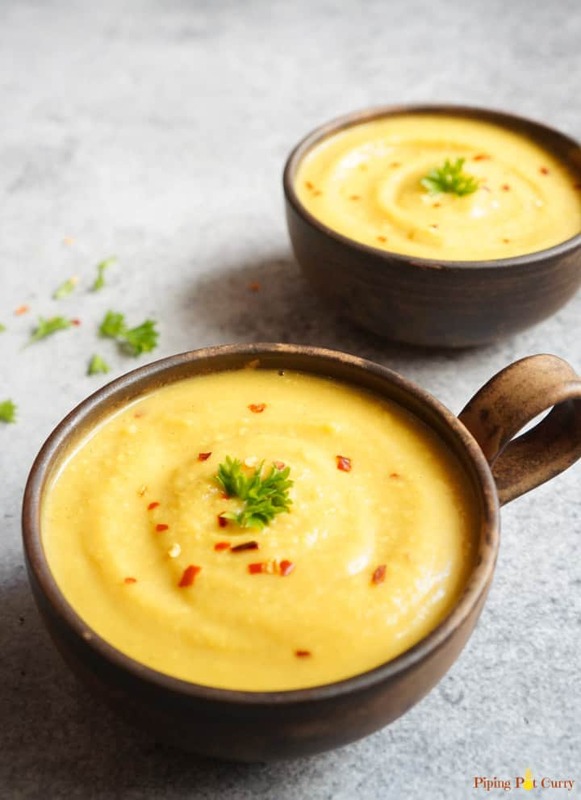 Try this hearty and delicious Instant Pot Potato Soup. 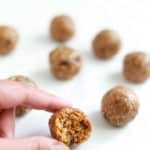 It comes together in just a few simple steps and it perfect for vegan and gluten-free diets. 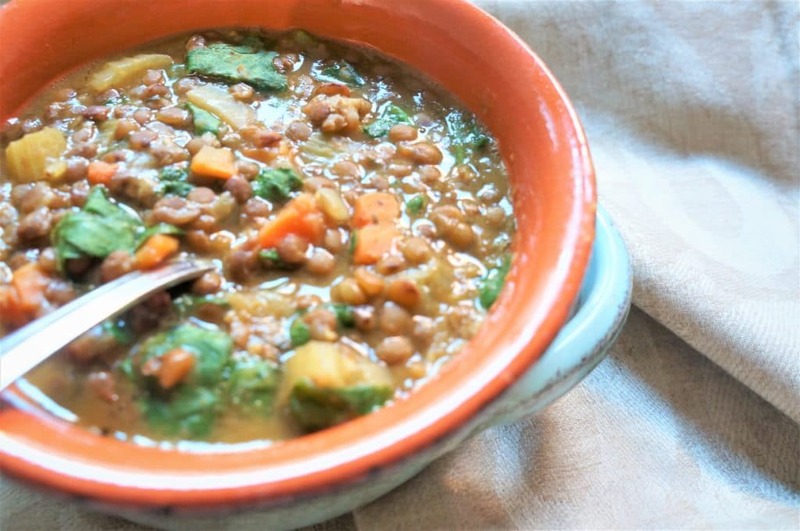 Hearty Brown Lentil & Vegetable Soup in the Instant Pot. 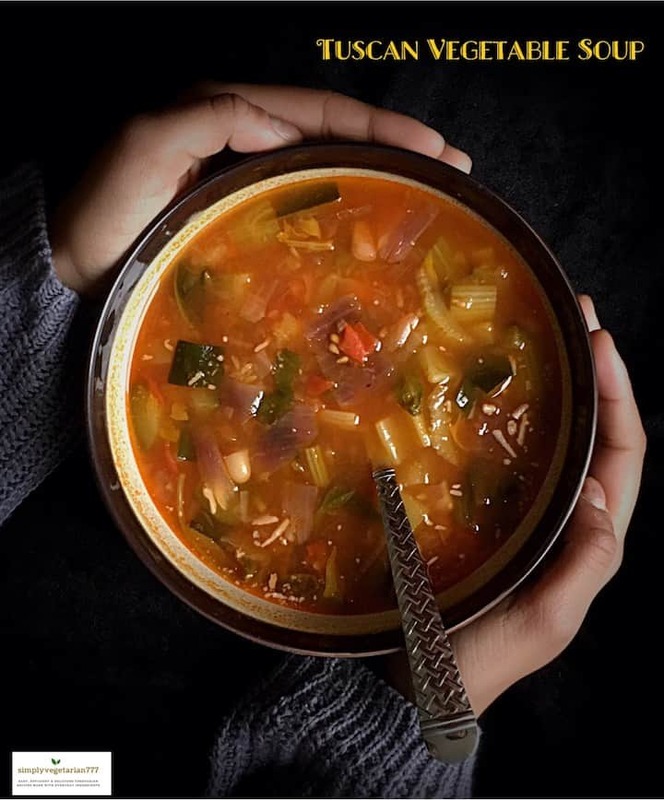 Get cozy with this nutritious and easy to make vegan soup. 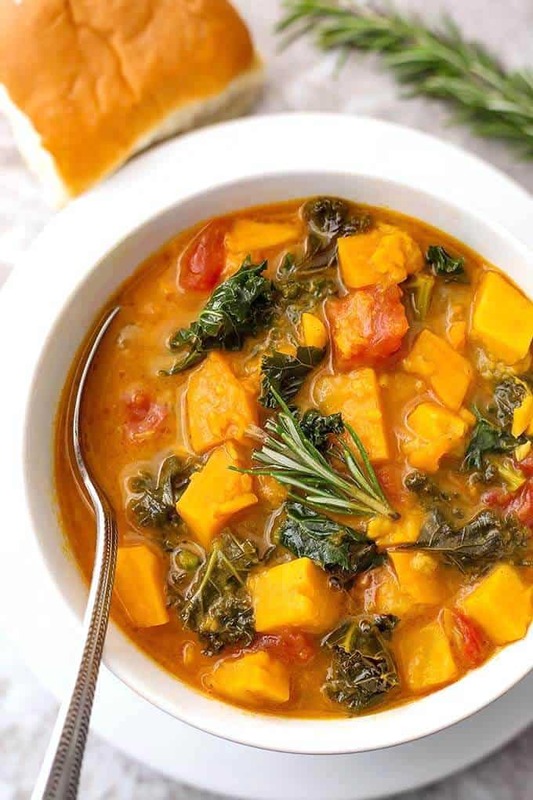 Instant Pot Sweet Potato Kale Soup just happens to be vegan, but those who eat meat won’t miss not having any in this flavorful soup! Healthy Cream of Broccoli soup made in the Instant Pot in less than 30 minutes. This delicious comfort food can be enjoyed guilt free now, with this plant based vegan & gluten free recipe. Perfect for a quick satisfying lunch or dinner. 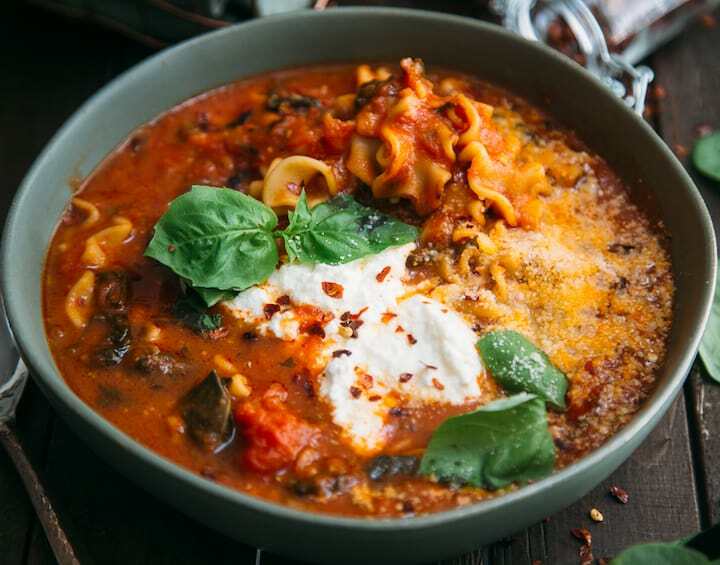 This lasagna soup is a quick, filling and hearty weeknight meal. All the flavors of lasagna is a bowl and so easy to make in the instant pot! 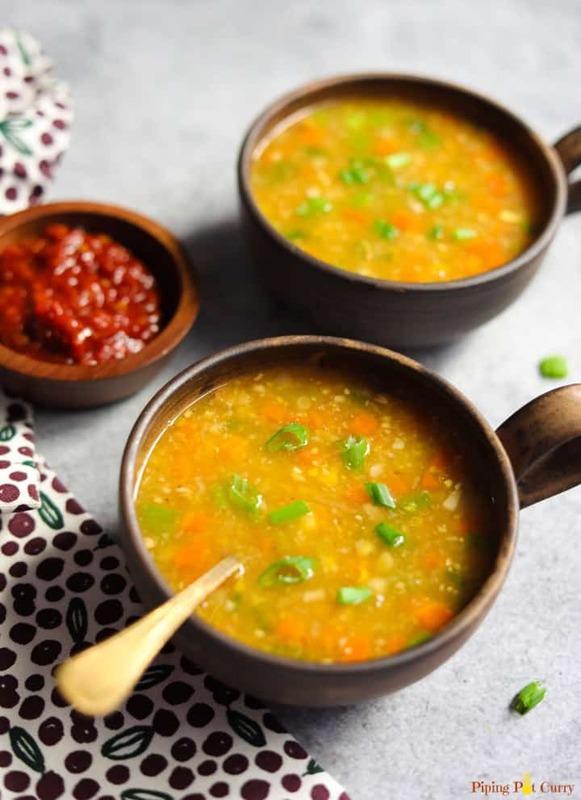 This Instant pot Quinoa Soup will warm you up from the inside out. It’s thick, hearty, and perfect for any season. 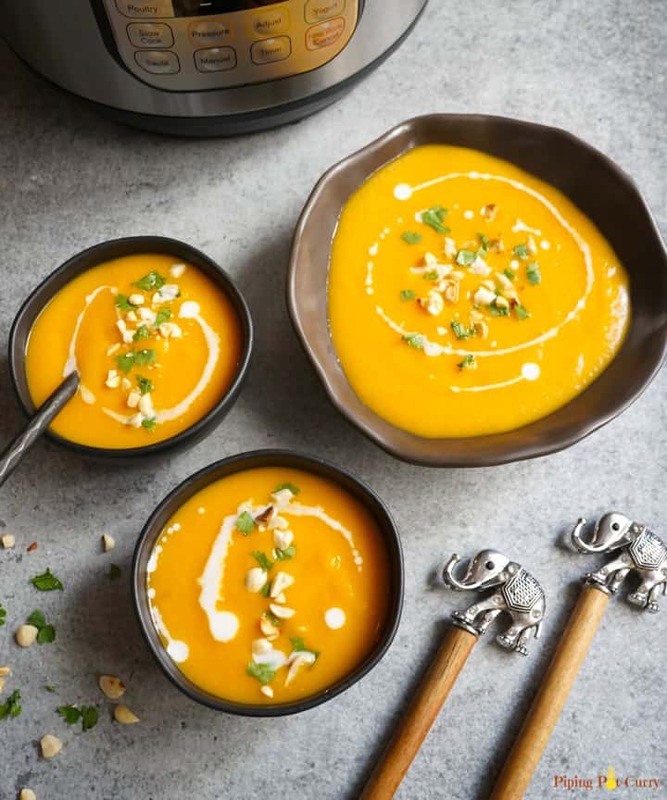 This Instant Pot pumpkin soup is thick, creamy and perfectly seasoned with fall spices. Quick and easy to make, this soup recipe will fill you with warmth and comfort on those cold fall and winter days. Instant Pot Creamy Tomato Soup is delicious and nutritious with lots of veggies. Made with fresh tomatoes along with carrots, celery, onion and a hint of garlic, topped with some cream and cheese. Oh so creamy…you will love it! 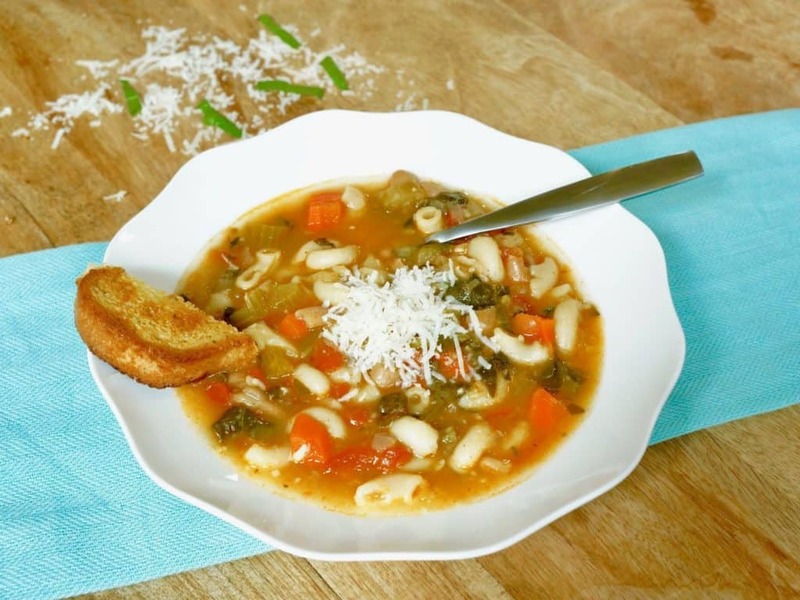 This Tuscan Vegetable Soup is an easy, delicious & nutritious recipe. It is loaded with seasonal vegetables and cannellini beans and mildly flavored with seasonings. 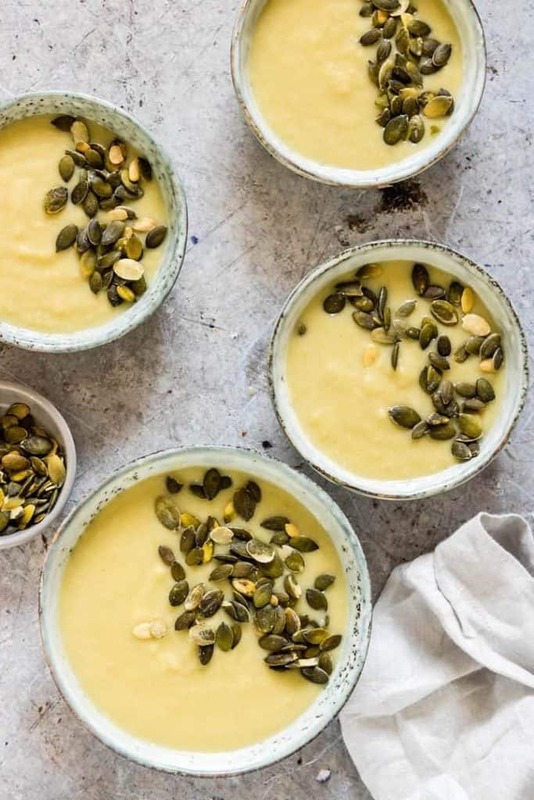 Easy & comforting Sweet Corn Soup made in the Instant Pot. This lightly spiced Indo-chinese soup is perfect for the cold weather. This is a vegan & gluten free soup! 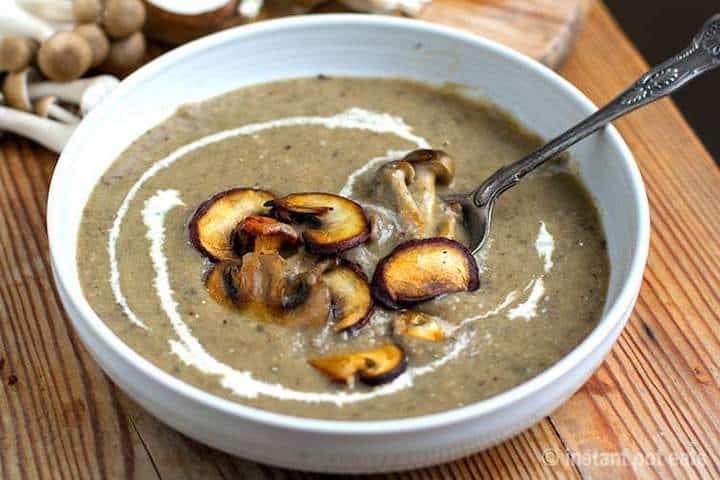 This hearty, creamy Instant Pot mushroom soup is so good, you’ll be asking for seconds before you finish the first bowl. Pressure cooking not only makes it quick and easy – it also helps to intensify the flavours of the ingredients. Winning! This soup falls in the category of comfort food that you don’t have to feel guilty about. 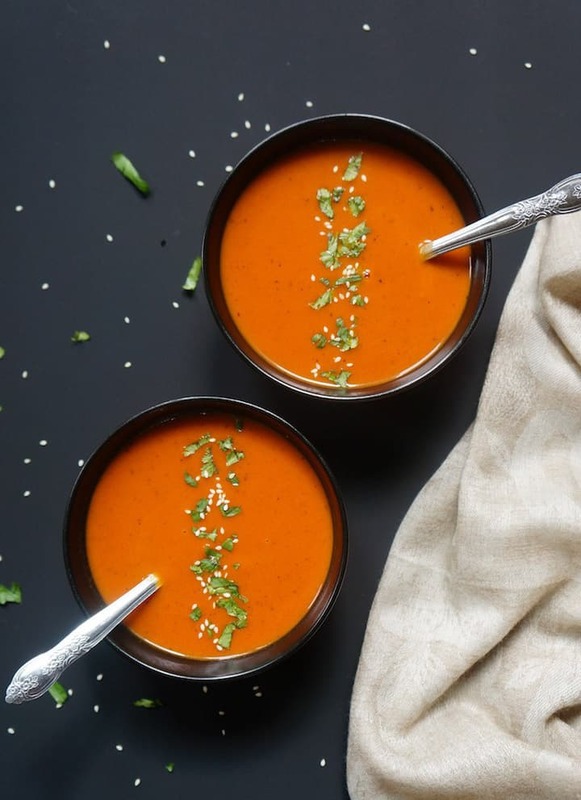 This vegan and gluten free Roasted Red Pepper & Carrot soup has deep bold flavors from roasting the red peppers and carrots. 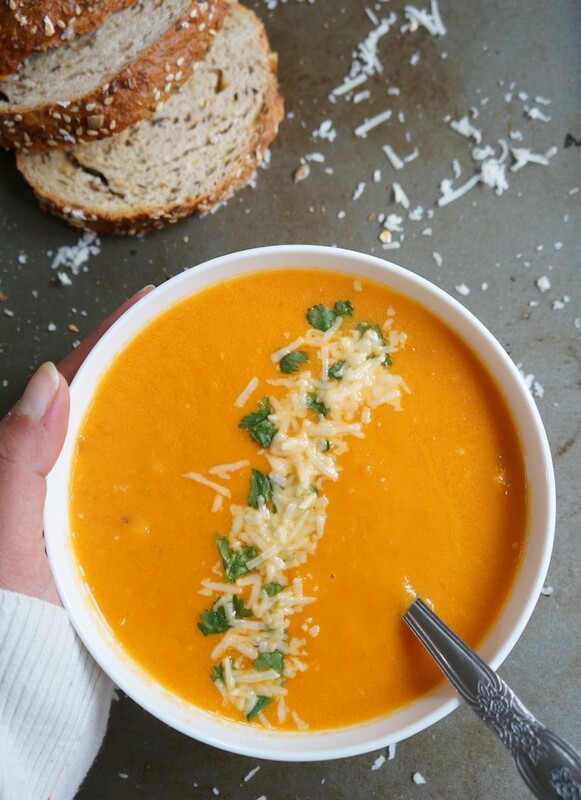 This Instant Pot Carrot Soup is so creamy and delicious you won’t believe it’s healthy! This recipe is easy to make, with Thai red curry paste, coconut milk, and tahini, topped with garlicky greens. 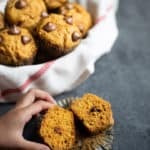 It is totally vegan, paleo, and Whole 30 compliant. Easy and delicious Broccoli Cheddar soup that can be ready in minutes in the Instant Pot. 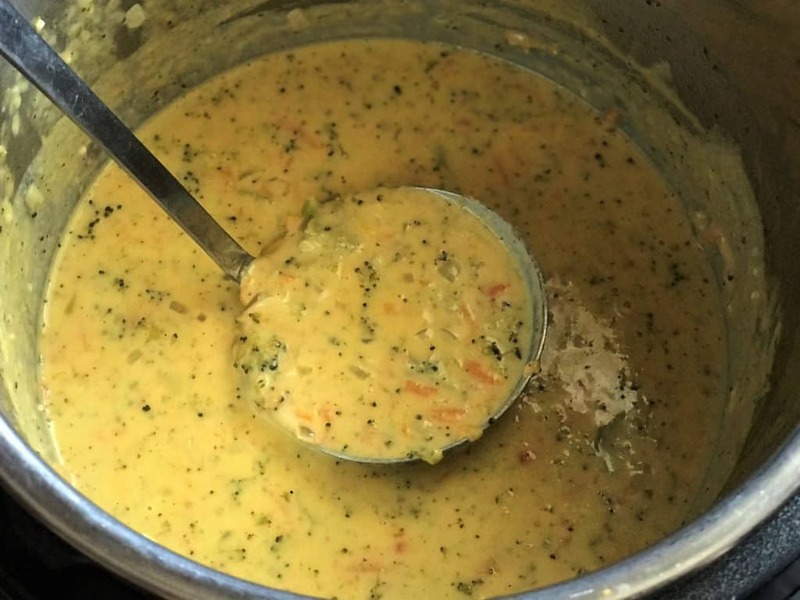 Ooooh…the yummy broccoli and carrots in a delicious cheesy base! 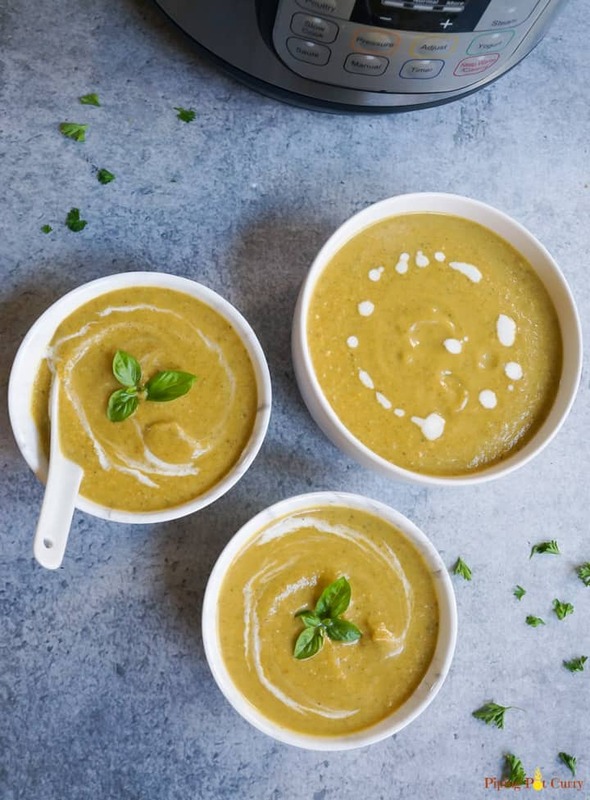 We hope you have found a recipe for your favorite Vegetarian Soup to make in the Instant Pot. 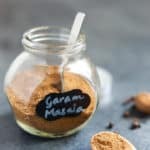 Let us know which one you’re most excited to make, and share this roundup with your friends! You might enjoy this post about Vegetarian Instant Pot Thanksgiving Recipes. Check it out!